When you attend an event involving De Andrea Nichols, be prepared to meet your match. Not your romantic soulmate, although that could happen. More likely, your partner in community engagement. 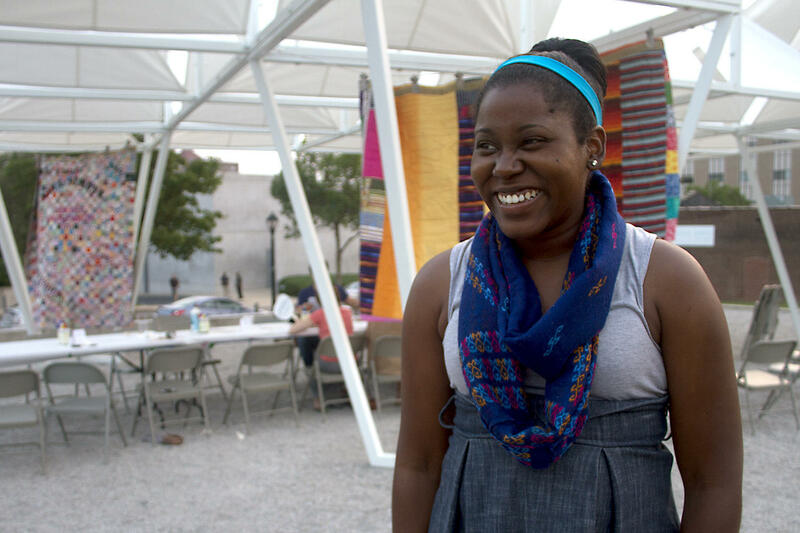 Nichols, 26, is a community arts organizer, designer and social worker who’s the Education and Outreach Coordinator at the Contemporary Art Museum. 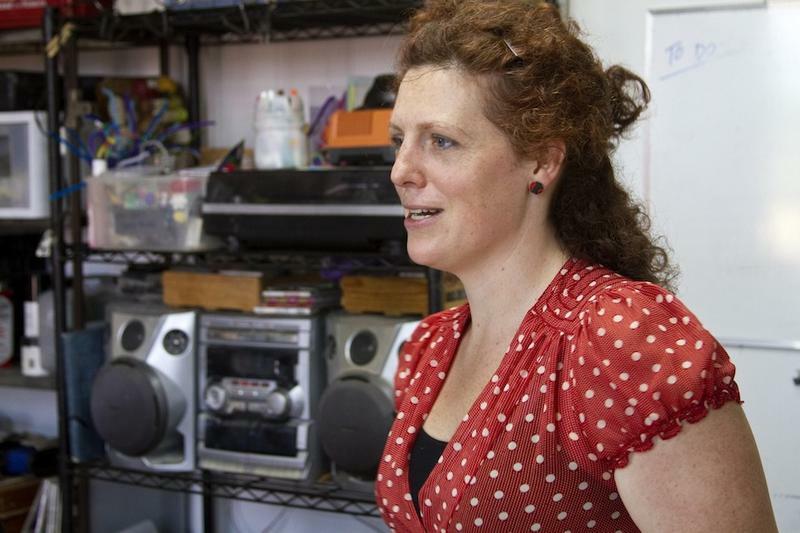 When she’s not working at CAM, she’s entrenched in one of the many projects of her own nonprofit, Catalysts by Design. Sometimes the twain does meet. “CAM is very supportive of my zany and creative ideas,” Nichols laughed. The names of projects Nichols works on are often quirky and pun-filled, like Yarning to Know St. Louis. Sometimes, adding on to that web that may mean sharing a tiny, enclosed space with someone you’ve never met. 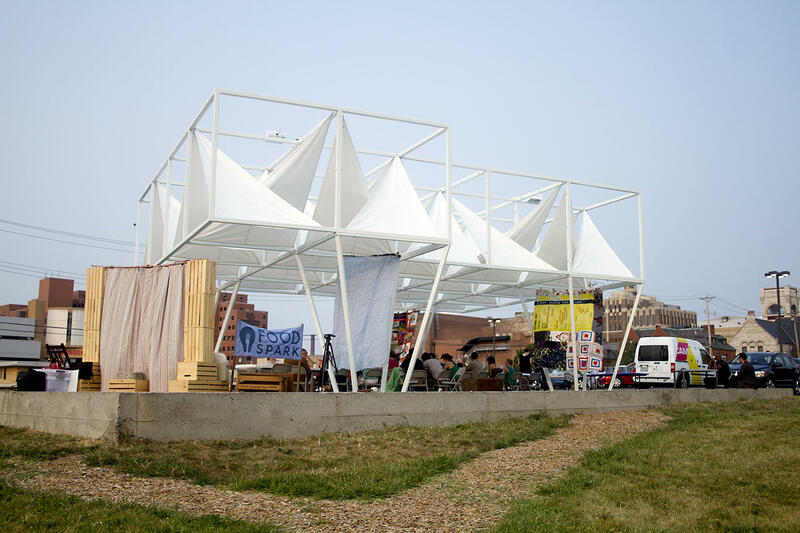 Such was the case at a June event at the Pulitzer Arts Foundation’s and Washington University’s PXSTL tent space in Grand Center. The gathering was for the United Story project, a program of Catalysts by Design. “We invited strangers to get inside a ball pit together,” Nichols said. The balls had conversational topics written on them, to get the brainstorming started. The point was to foster collaboration among people with ideas for bettering St. Louis. “Every idea builds a stronger next idea,” she said. Even the best ideas need to be paired with a deep understanding of the area being served. De Andrea Nichols talks with Nancy Fowler about how a failed project in Greensboro, Ala., led her to St. Louis and Washington University’s Brown School of Social Work. Among other issues, Nichols was the only person of color working on the project in a predominantly black, low-income community. Food can be an important ingredient when it comes to building on ideas. That’s the thought behind Catalysts’ FoodSpark. Participants bring a potluck dish along with their ideas for creating change. “Two participants who did not know each other found commonality amongst themselves for both storytelling and photography, and — voila! They started Humans of St. Louis,” Nichols said. 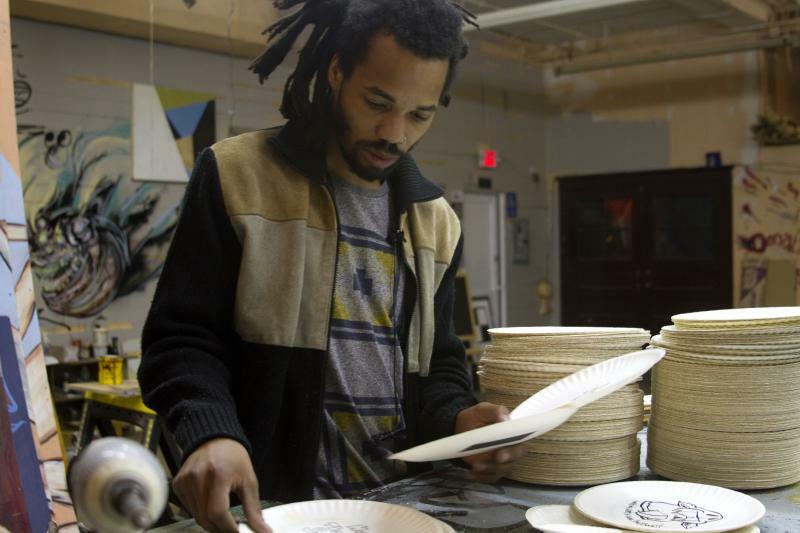 Foodspark: Creative Soapbox from St. Louis Public Radio on Vimeo. For her efforts, Nichols has twice been chosen to be involved in events of the Clinton Global Initiative University, which engages emerging leaders. Still, not every idea spawned by Nichols' projects comes to fruition, of course. Some end up in the trash. Others are about trash, or at least getting rid of it. 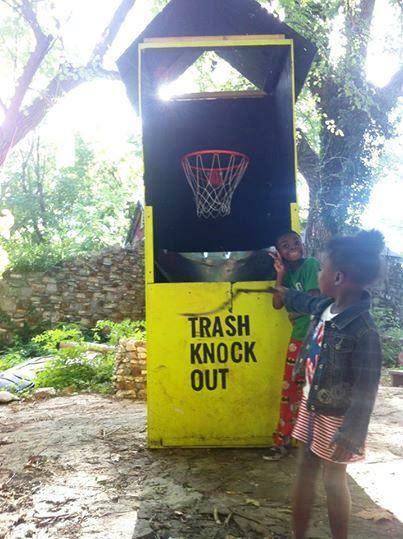 One of Nichols' projects turns picking up trash into a game. In cooperation with the ReBuild organization for revitalization through the arts and its Pink House community space, teenagers in Pagedale were asked to analyze a local litter problem. After realizing they, the youth, were doing most of the littering, they came up with a Trash Knock Out or T.K.O. machine in which litter is disposed of through a basketball hoop. The idea is to help young people learn how to innovate. But that’s just the first step. The 2008 Kirkwood shooting that left six dead, including council member Connie Karr, stunned and forever changed the community. Now, artist Sarah Paulsen is finding deeper meaning in the tragedy. Paulsen, 36, grew up in Kirkwood. “Connie was a really good friend of my mother’s,” she said. 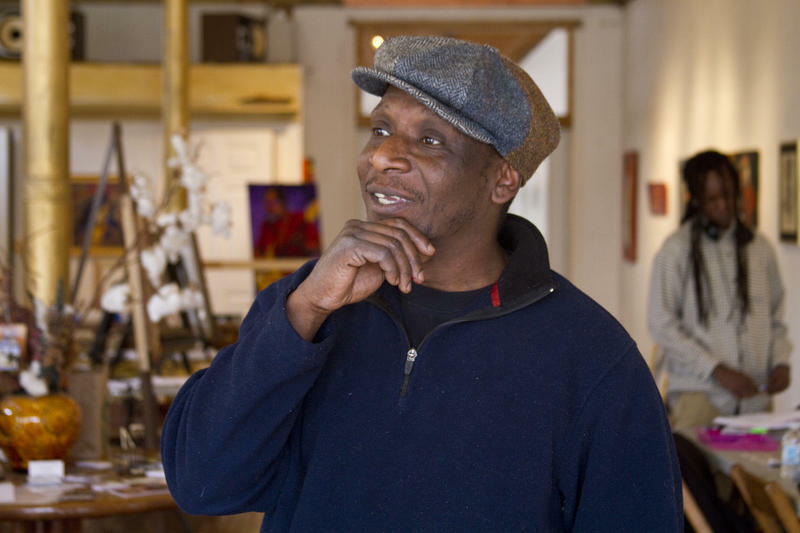 The ousted 14th Street Artist Community Gallery has found a new home, just steps away from its former space and still on 14th Street. Gallery owners have moved two doors down and across one street to 2607/09 14th St. in Old North St. Louis. The gallery, run by William Burton and Robert Ketchens, will retain its name. They plan a grand re-opening in July. Stan Chisholm’s whole working-in-Styrofoam thing started with a need to keep moving. Wood is heavy. Styrofoam is light. It can be broken into pieces and easily transported in a suitcase or even a backpack, especially important during his car-less time at the School of the Art Institute of Chicago. Its unconventionality also infuses a bit of dark comedy into Chisholm’s work. 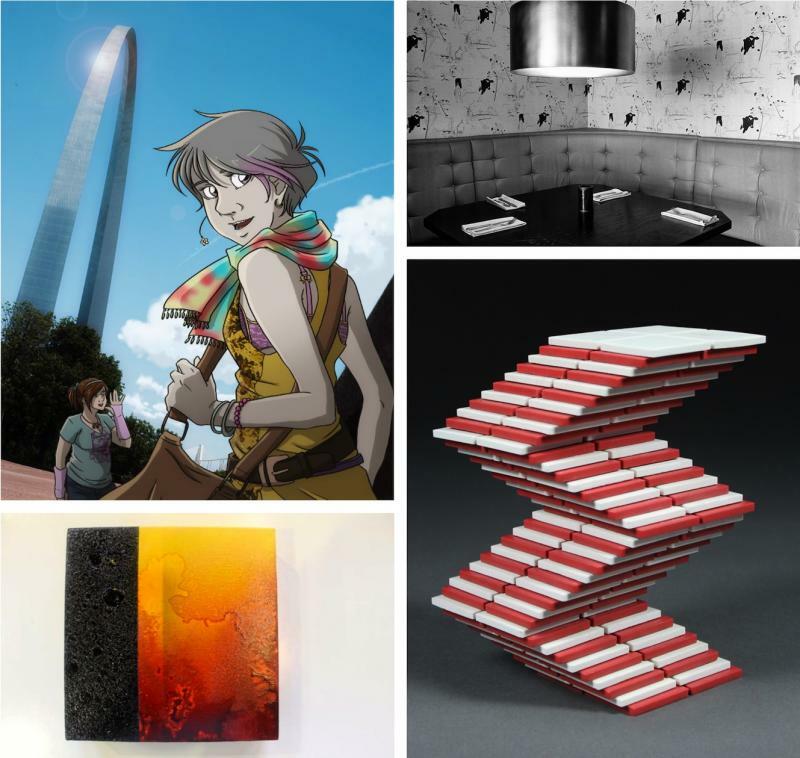 An organization called Community Supported Art Saint Louis has named nine local artists to launch its new program. The concept is as simple as a paint-by-the-numbers project: Fifty CSA “shares” are up for grabs at $300 apiece. Each share-buyer receives nine original works — one from each artist — at three “pick-up” events this September, October and November. Every artist walks away with $1,000 and wider exposure.